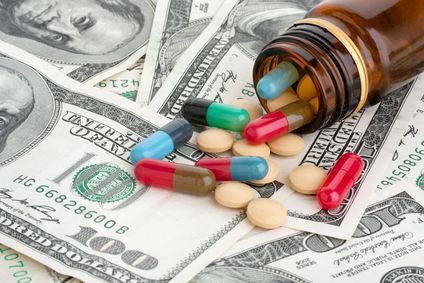 Do Big Pharma CEO Salaries Correlate with Fraud & Whistleblower Awards? Johnson & Johnson may be on top of Forbes’ list but it’s also on top of our “Wall of Shame. In 2013 the company paid a record $2.2 billion to settle criminal and whistleblower charges related to illegal kickbacks. While the fine seems huge to the average citizen, remember it represents about one percent of the company’s total market capitalization. Some folks are saying this is but a single example. Good point. We looked at the number two company on Forbes’ list, Merck. Although its market capitalization is “only” $168 billion, its net profit margin is a jaw dropping 28%. For such great profits, directors awarded Merck’s CEO with a $25 million annual pay package. Like Johnson & Johnson, Merck hasn’t been a good corporate citizen, however. In 2012, the company paid $441 million to the government to settle civil charges that included allegations about false advertising claims. Merck wanted to increase sales knowing that Medicare foots the table for much of its sales. That year the company also paid $322 million in criminal fines and had to return $200 million to state Medicaid agencies. Rank and file pharma workers don’t get paid millions of dollars per year. When one adds in stock options and perks, CEO and executive compensation packages can be in the tens of millions of dollars. We don’t fault any executive for making money. CEOs whose companies flagrantly disregard the law, however, should not be rewarded for that activity. They should be punished. Thankfully, there have been a growing number of pharma workers – middle managers, QA professionals and production workers – willing to step forward and report wrongdoing. If the company’s drugs are sold in the United States, chances are pretty good that a large whistleblower award may be available.